BANGI, 19 Nov, 2012 – Communications equipment using lasers such as optical fibres and broadband connections and even military applications requiring high power have improved recently because of developments in the field of laser-emitting diodes called VCSELs. Professor Yoon Soon Fatt of Singapore’s Nanyang Technological University (NTU) said the advances in VCSELs, however, came with a high price as the developments required the use of materials that are costly. 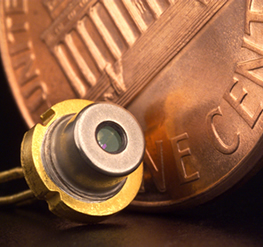 Laser-emitting diodes are semiconductors that emit very intense and coherent light beams used in various applications. Speaking at a Public Lecture at the Faculty of Engineering and Built Environment of The National University of Malaysia (UKM) here today, Prof Yoon who did the research on it said mass-production will eventually help bring down the cost of VCSELs to the point that they may be used in consumer devices. Unlike conventional semi-conductors that emit lasers from the edges, a VCSEL is a type of diode with laser beam emission perpendicular from the top surface formed by cleaving the individual chip out of a wafer. A VCSEL is similar to a light-emitting diode (LED) in principal but the beam which comes out is far more powerful and hotter than an LED light. The most common light-emitting diode probably is the so-called laser-pointer used in lectures and briefings. 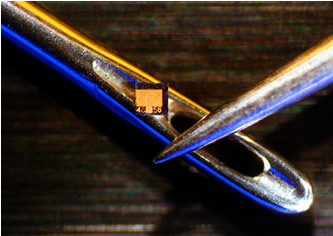 The actual diode is very tiny; about ten such components can fit on the surface of a coin. Nowadays, the LED diode has become even smaller. He said there are several advantages to producing VCSELs, in contrast to the production process of edge-emitting lasers. Edge-emitters cannot be tested until the end of the production process. If the edge-emitter does not function properly, whether due to bad contacts or poor material growth quality, the production time and the processing materials have been wasted. VCSELs however, can be tested at several stages throughout the process to check for material quality and processing issues. Moreover, because VCSELs emit the beam perpendicular to the active region of the laser as opposed to parallel as with an edge emitter, tens of thousands of VCSELs can be processed simultaneously on a three inch Gallium Arsenide (GaAs) wafer. Furthermore, even though the VCSEL production process needs more labour and materials, the yield can be controlled to a more predictable outcome. Gallium Arsenide is a relatively low-cost semi-conductor material that is used often in the industry. Having lasers emitted from the surface effectively enhances the power of the VCSEL. Prof Yoon said he and several other researchers at NTU are working on VCSELs that use dot vertical cavity surface emitting lasers, or QDVCSEL. These have the advantage of being able to hold more than one beam, as the surface can be etched to insert more laser-producing cavities. The result is a more economical laser diode that can produce multiple beams, something invaluable to the communications industry where higher and higher data transfer rates are demanded. This means that very high broadband internet speeds, in excess of 40 Mb/sec can be achieved economically in the near future. Fiibre optics which have laser-emitting diodes are the most cost-effective means of carrying high-speed data for internet connections, he said. However the obvious problem is the increased heat which is produced by QDVCSELs. The trick is to strike a balance between the output power and the materials used in production. Prof Yoon said work to find the compromise between power and heat is very taxing, requiring many hours of scrutiny. He had several PhD students who did not do follow-up analysis after their research papers had been completed. Prof Yoon Soon teaches and does research at the Division of Microelectronics, School of Electrical & Electronic Engineering, College of Engineering in NTU. He received his BEng and PhD degrees in Electrical Engineering from the University of Wales in Cardiff, United Kingdom in 1983 and 1986, respectively. 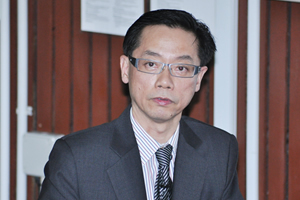 He joined NTU as a faculty member in 1989, where he is now a Professor (Solid State Electronics and Photonics). Prior to joining NTU, he worked as Research Engineer at ST Microelectronics, Italy and Research Associate at Standard Telecommunication Labs at Harlow, UK. In NTU, he directs the Compound Semiconductor & Quantum Information (CSQI) Group which presently comprises more than 20 research students and research staff. The CSQI Group is one of the largest in the School of Electrical & Electronic Engineering with key expertise in compound semiconductor materials, physics and device technology. Prof Yoon was Vice-Dean (Research) in the School of Electrical & Electronic Engineering from 1999-2005. He has published and presented numerous papers in international peer-reviewed journals and international conferences in the compound semiconductor, thin films and solid state photonics and Radio Frequency device areas.